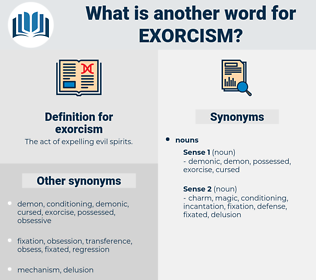 What is another word for exorcism? 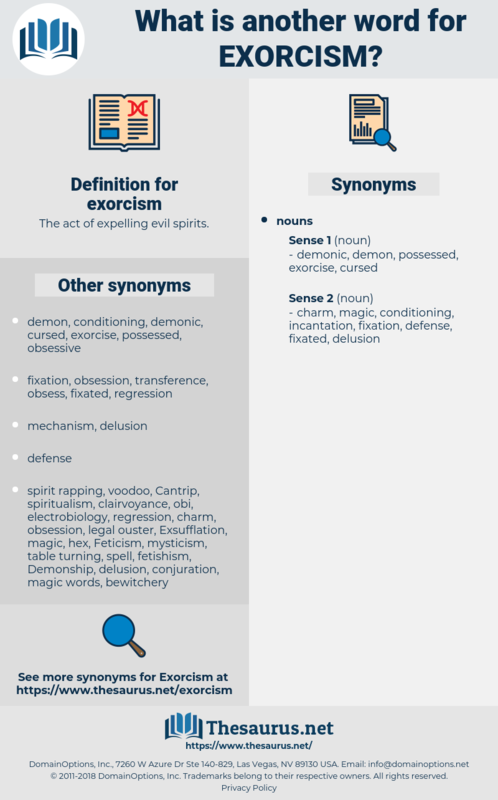 The act of expelling evil spirits. It was to have a cross and sometimes a verselet from Scripture, or an exorcism, or a prayer, engraved on it. Granny Marrable's words left Gwen unsuspicious that powers of exorcism had been imputed to her.